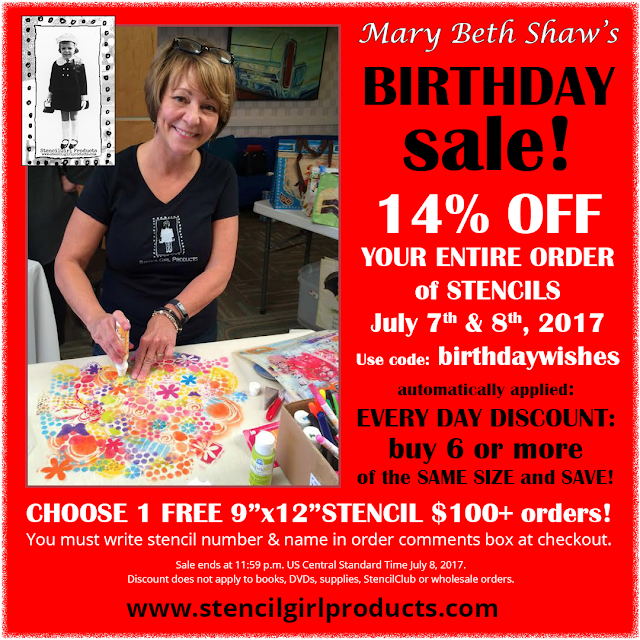 StencilGirl Talk: Stencil Sale July 7 & 8, 2017! It's Mary Beth Shaw's Birthday! Stencil Sale July 7 & 8, 2017! It's Mary Beth Shaw's Birthday! It's our founder's birthday and she has decided to put all regular StencilGirl stencils on sale! Mary Beth will be livestreaming on Facebook at 7 a.m. and 7 p.m. Central Standard Time ~ Friday July 7th! Order 6 stencils of the same size and take advantage of up to 24% off stencils! 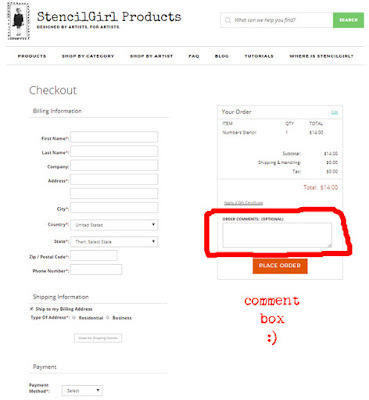 is the code to use at checkout to get 14% off and the 10% buy 6 or more of the same size discount is automatically applied! Choose* 1 free large 9"x12" stencil when you order $100 or more. *You must write stencil name and number in the order comments box at checkout otherwise we will choose the stencil for you. Sale ends at 11:59 p.m. on July 8, 2017. 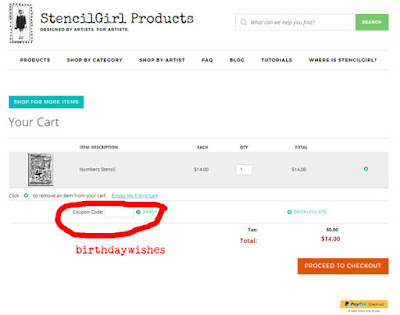 Discount does not apply to StencilClub, DVDs, supplies, books, or wholesale orders.